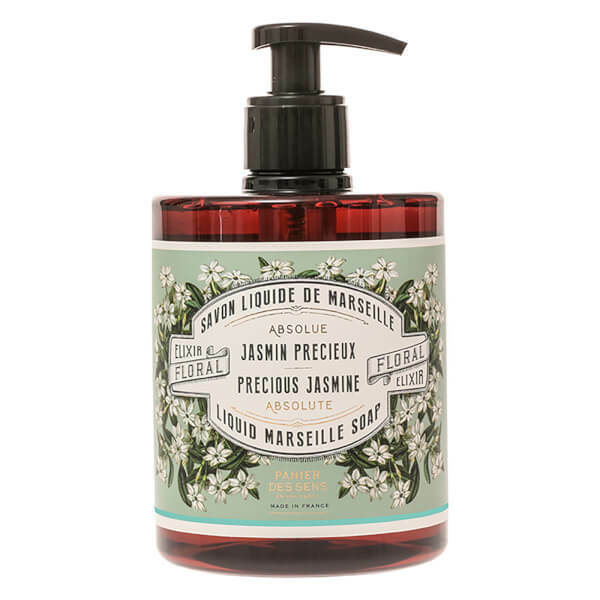 Panier des Sens The Absolutes Precious Jasmine Liquid Marseille Soap is a gently cleansing hand soap formulated with 96% natural original ingredients. 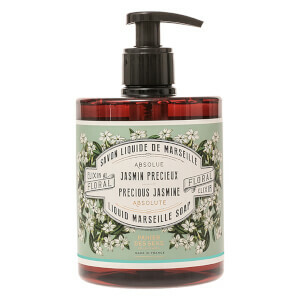 Made in accordance with the traditional way of manufacturing Marseille soap, the hand wash is rich in vegetable oils and cooked in a cauldron. Providing a gentle cleanse, the liquid soap delicately lifts away dirt and impurities while preserving skin's natural balance. Aqua (Water), Potassium Cocoate, Parfum (Fragrance), Glycerin, Potassium Olivate, Hydroxyethylcellulose, Peg-40 Hydrogenated Castor Oil, Tetrasodium Glutamate Diacetate, Cocos Nucifera (Coconut) Oil, Potassium Benzoate, Potassium Sorbate, Tocopherol, Olea Europaea (Olive) Fruit Oil.